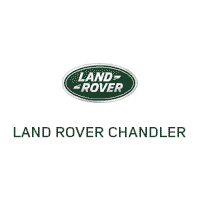 The Land Rover Range Rover is the epitome of luxurious style and athletic off-road capabilities, and you can find a selection of Range Rover configurations at Land Rover Chandler. This icon recently celebrated its 30th anniversary, and each year it only gets even sleeker and more high-tech. To further explore what the Land Rover Range Rover has to offer, compare the Range Rover vs. Toyota Land Cruiser, then make your way from Gilbert to our dealership in Chandler, AZ for a test drive. Once you’ve done your research and have decided whether to lease or finance, learn more about the upcoming Range Rover PHEV before visiting Land Rover Chandler to see the new Land Rover Range Rover in person. We’re just a short way from Tempe, and we can’t wait to help you find your ideal off-road-ready vehicle. Choose can pick a sleek white Range Rover, classic black Range Rover, or another stylish color of your choice!